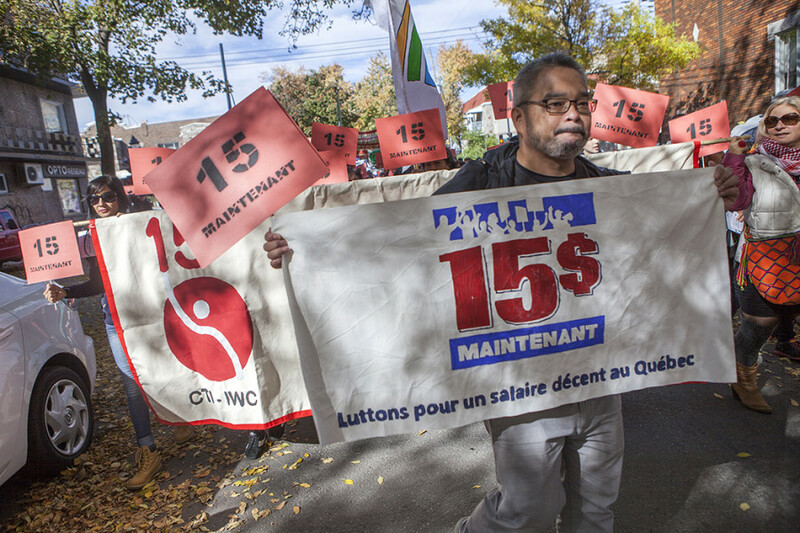 Approximately a thousand people gathered at Montreal’s Prevost Park on Saturday morning of Oct. 15 to demand the same thing from the government: a $15 minimum wage in the province. This applies especially, she said, in the discussion around Bill 70, a piece of “workfare” legislation introduced in Nov. 2015 by Labour Minister Sam Hamad. If passed, the law would allow the government to halve welfare payments for first-time recipients who refused to work or study. 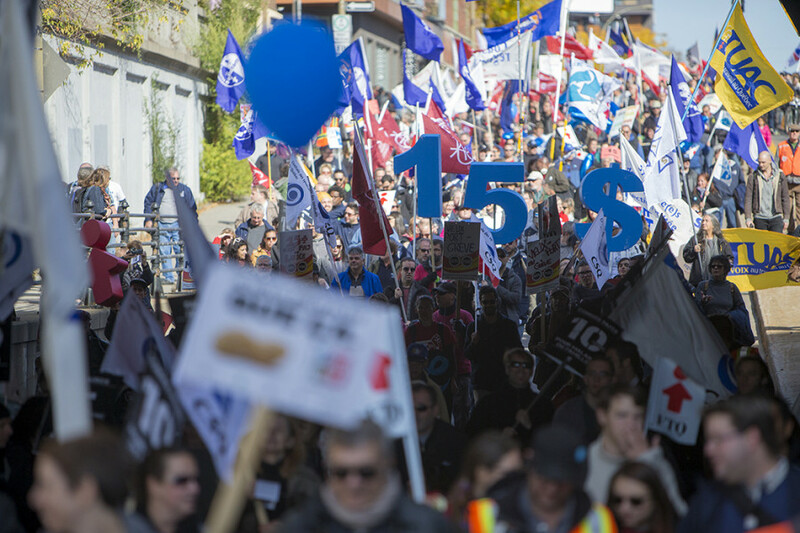 Minimum wage in the province has gotten a lot of attention recently. It was raised by 20 cents to $10.55 in May 2014. The same time the following year, it was raised to $10.75. Participants at the rally were unsatisfied with these provincial concessions. 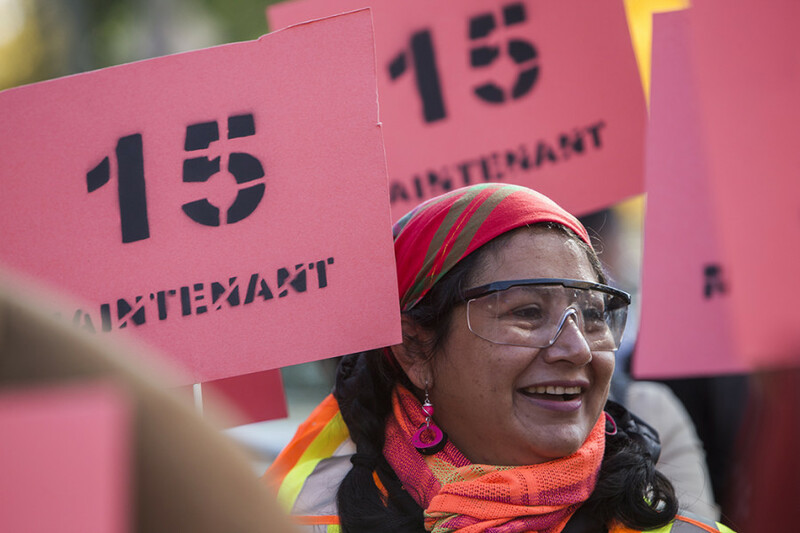 Many of them, bewildered, mentioned the example of Alberta, whose Rachel Notley-led NDP government just passed a staggered minimum wage increase to $15 per hour. Protesters argued that it was time for Quebec to follow. 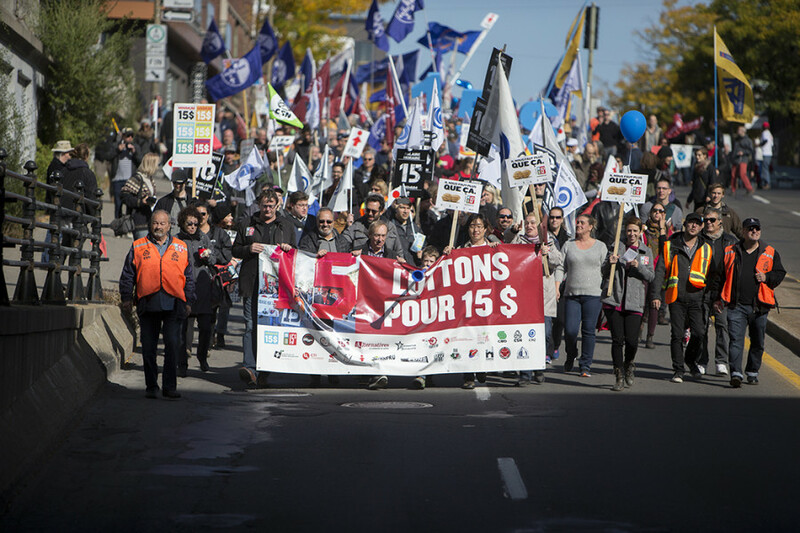 When asked about the opposition to the movement, Massé relayed the argument that raising the minimum wage would kill jobs. Massé cited British Columbia’s 2010 increase to a $10.25 legal hourly minimum. She said The Fraser Institute, a conservative think tank, projected over 50,000 consequential job losses, but in reality they lost only about a tenth of that. That tenth applied overwhelmingly to young workers, aged 15 to 24, found a study by the Canadian Centre for Policy Alternatives. Simon Gaudreault confirmed the effect on young people. He is the senior economist at the Canadian Federation of Independent Business, a primary opponent to the fight for $15. 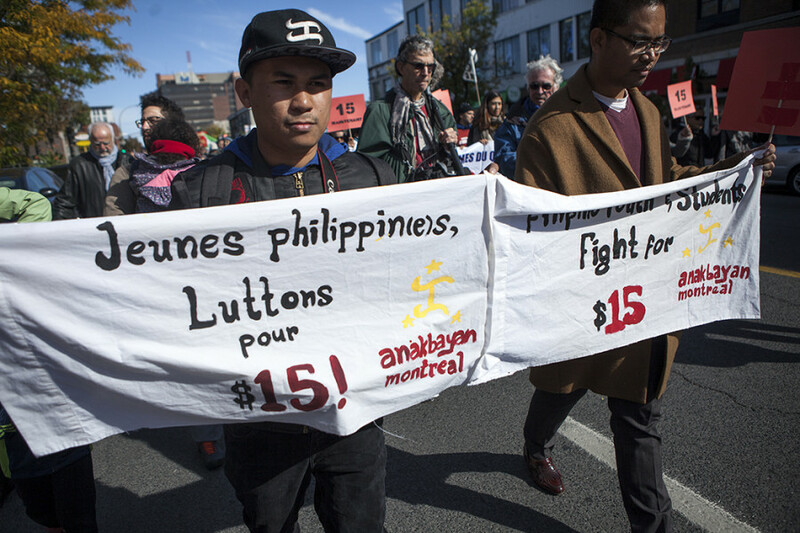 “This whole idea of raising the minimum wage will have a significant impact on all costs,” said Gaudreault in an Oct. 12 interview. “If your cashier who earns minimum wage gets a raise to $15, then your more experienced employee who already earns $20 per hour will want a similar increase,” rationalized Gaudreault. He said that in order to compensate, businesses would likely hire more experienced workers as opposed to students and younger individuals. Gaudreault acknowledged the necessity of the conversation, but argued that help should come from the government rather than from employers.